Here's our version of a balanced soap. CDL Naturals Cleansing Castile Soap combines the cleaning power of Virgin Coconut Oil Soap, the Moisturizing properties of Olive Oil Soap and the lathering effect of Palm Oil Soap in one bottle. It is great for active people and for those who enjoy lots of bubbles when bathing. Added with Rosmarinus officinalis essential oil, it is pure relaxing delight each time you take a bath. Our Rosemary Cleansing Castile Soap washes your skin well without the harsh chemicals, pampering your body naturally. 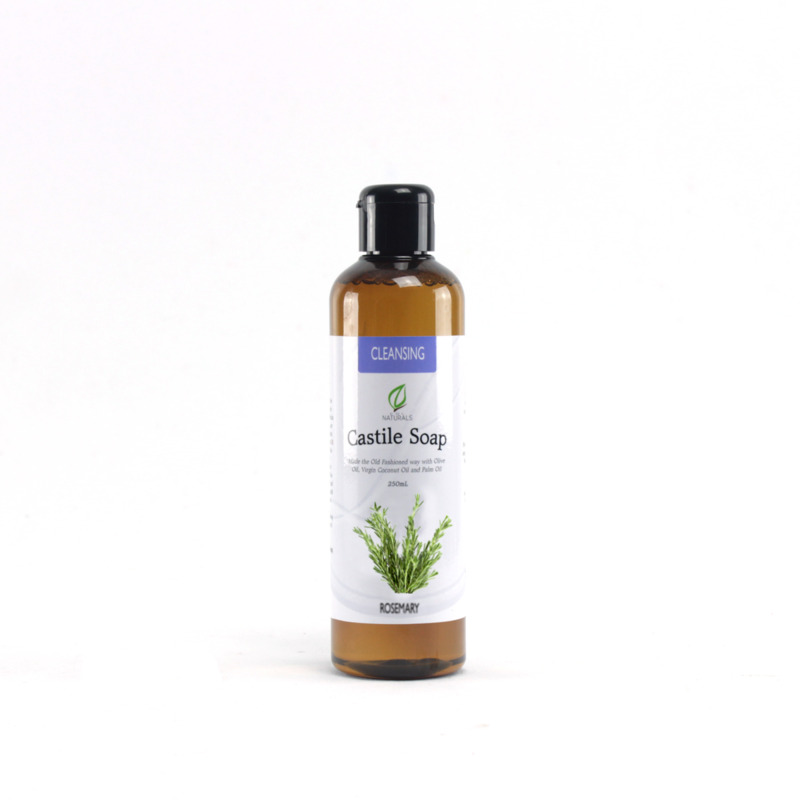 CDL Naturals Cleansing Castile Soap is inherently thin or watery. It is due to the natural property of soaps made with Coconut Oil. Made-by-hand, all-natural and organic liquid castile soap from Olive Oil, Virgin Coconut Oil and Palm Oil, with Rosemary Essential Oil.